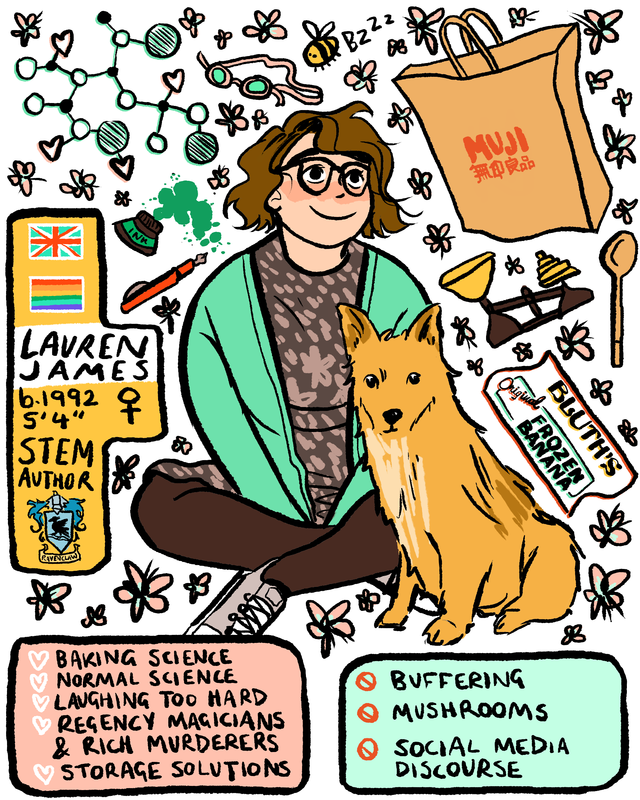 I recently read and loved this blog post by the Reading Rambo, where she lists her four most nerdy interests: the things she could talk about uninterrupted for hours at a time. I’m gonna steal her idea (which she stole from a podcast called The Dork Forest!) and write about my four most TERRIBLY EMBARRASSINGLY NERDY NICHE INTERESTS. Let’s go. Listen. Whenever I’m ill, I do three things: read some fic, order sweets on Amazon Prime, and spend eight hours in the #babygate tag on Tumblr. It’s my guiltiest of guilty pleasures. I’m not really a big ‘shipper’ of real life people like Louis and Harry or Taylor and Karlie or Dan and Phil, but I’m freaking obsessed with the mindsets of shippers. They are so immersed in every aspect of their interest, to the point of delusion. They invest endless time and energy meticulously analysing every detail of the political, economical and social details of their celebrity’s life/relationship, and ignore the moral grey areas that it involves (like keeping tabs on the social media accounts of celebrities’ young family members for any accidental slips of information). Fans are the worst and best kinds of spies, and I have so much respect for that level of obsession about anything – but the intersection of obsession and celebrity particularly interests me. Like, read this post, where a Larry blogger explains why they do not, in fact, ship Larry. There is an incredible amount of information about that person to unpack there. I will one day write a novel from the point of view of a tumblr conspiracy theorist shipper. Other connected interests: fanfic as a genre (which I discuss a little here) and really old school LiveJournal drama, such as the Harry Potter BNFs intrigues of the early 00’s. I could literally talk about this (and I do) for hoursandhoursanddays. I will watch and adore any zany, meta/intertextual American comedy. But Arrested Development holds a special place in my heart. I have goalsandaspirations to be a screenwriter one day, and I want to write a show like Arrested Development: weird and clever and rewarding of obsession. I rewatch the entire series once a year, minimum. All of the characters are problematic and awful and I adore every single terrible one of them, from Gob to the Perfect Michael to Lucille to Maebe to – oh god, I’m getting all emotional – George Michael. Listen. If you’ve never watched this show (or anything similar like Community) give it a go. It may change everything you thought you knew about what clever writing can do. It perfects the art of foreshadowing, the art of comedy, the art of character development and character unravel-ment, the art of sly and knowing narration, the art of just being super super amazing in general. If you need a quick introduction, my tag on tumblr is a good place to start. I adore Arrested Development. I’ve adored other tv shows in my time, like Hannibal and Doctor Who and Brooklyn Nine Nine and Broad City and Jekyll, but my love for other things wanes and flows depending on how recently I watched it (or who the current showrunner is). My love for Arrested Development is constant and eternal and pure and utterly forgiving (even during the last season, which was….not the best.) It deserves a place on this list because I can’t see that ever changing. I limited myself to only one book on this list, because otherwise all four of them would have been, like, HP, HDM, JS&MN etc. So….here’s my One Book Choice. It was a tough one, but in the end I went with my most recent and hardhitting obsession. I read a lot of books. Like, a lot. But none of them have got me hooked so much and so quickly as Stiefvater’s quartet since I was a kid. I’m so obsessed with this series that I forced all my friends to reread the series and have monthly discussion meetings in the run up to the release of The Raven King. They were good sports about it. Thinking about these characters literally makes my heart hurt. I love them all, Ronan and Adam and Gansey and Noah and lovely, fiesty, underappreciated Blue. I want to be friends with them. I would love to read the strange, magical prose of more books about the rest of their lives. It’s an art to get readers to care so deeply about characters, and Stiefvater has pulled it off. She’s also the queen of foreshadowing. While I do have a lot of opinions about the end of the series, the fact that I care so deeply that I have such strong opinions is a sign of a true obsession. On the list it goes. Like, obviously. COME ON. I’m a writer! Of course i’m obsessed with my babies! From Kate and Matt to Clove and Ella, and the ones you haven’t met yet, like Romy and Leah and Rima and Felix and Harriet……sigh. I could talk about them for the rest of my life without pause (luckily I get paid to do just that!). It’s a strange kind of obsession, since they literally came from myself, but once a character is created they are their own being, and I want to know every single thing about them. I love the act of creation and the depth of feeling I can conjure up for these fictional people, and that feeling is addictive. I am obsessed. BONUS, obsessions that I considered adding to this list: My dogs. The website The Toast. Leonard ‘Bones’ McCoy. This article about mozzarella sticks. Vampire Weekend. Dinosaur Comics. Sterek fic. Annie Edison. Selling things on eBay. Casey Neistat. UKYA. Stationary. Jillian Holtzmann. Oscar Isaac’s chopsticks. Hannibal. Stoker. Tumblr user “sashayed”. The Hamilton soundtrack. My mum’s garden. Hark! A Vagrant. The Shoebox Project. My bookshelves. Baking recipes. Jenny Slate & Chris Evans. Pride & Prejudice. We have always lived in the castle. Rey. Jean-Ralphio Saperstein. This recap of the Back to the Future Novelisation. And, as of now, making lists of my obsessions. FINALLY: I persuaded my mate Sarah to do this blog post too, because if there’s anyone who can get truly obsessed about things it’s her. I don’t know what she’s gonna pick, but my guesses are Animorphs, Hamilton, Hannibal and books (her blog is called SarahLikesBooks, so I feel like this one is a pretty safe bet.) You can check here to see if I was right. In other news: I’m doing an event this Thursday at Waterstones Piccadilly at 6.30pm! Come along! The Czech cover of TNT was revealed! I'm gonna finish my book 3 edits tonight! Or, to put that more accurately, I'm not going to sleep until they are done. It won't be tonight. Me: [sends off edits] Phew! I can finally relax! Last week I also turned 24, and celebrated by going to see The Phantom of the Opera, The Lion King, Aladdin and Harry Potter and the Cursed Child at the West End. It was intense. I cried more times than I am willing to admit. This entry was posted in monthly favourites on 29/08/2016 by Lauren James. OHHH! Happy Birthday! I always cry in the movies too, though I haven’t even read Harry Potter and the cursed child. I never used to cry in films, but now I’m getting older I cry at ANYTHING. It’s shameful.